Known as the Floating Festival, The Yacht Week is pretty much exactly as it sounds; a floating paradise of dreams. Which means all you need to do is decide where you want to hang (we’ll help you differentiate between paradises in a mo’), pick a week, your yacht aaaand, well, that’s kinda it. You and your mates simply soak up the sun while a seasoned Skipper glides over the Mediterranean, Aegean or Adriatic Sea. Once on board it’s as easy as sunscreen, sun and exploring the many spoils along your route of choice. While the exact itinerary is decided a few weeks out, a few things are set in stone, the least of which being seven glorious days of island hopping and a hell of a ‘yacht’ of fun—see what we did there? To make your transition from work to wonderland a breeze, we’ve teamed up with CommBank’s Travel Money Card to hand pick three of the best experiences so you can sit back, relax and enjoy this FOMO-filled guide, because we’re willing to bet you’d rather spend a Euro summer sailing around Greece than at your cold, wintery desk. Just don’t forget to send us a postcard! First things first, let’s go back to where it all began, with the original Grecian Yacht Week. Expect a mid-pace route, boasting 20 – 25 yachts in its charter, famous for those Instaworthy float circles set to clog up your feed this summer. Our top picks include a spot of Tropical Retro Volleyball in Love Bay, also the ideal locale for a swim, dinner at Sunset Restaurant (which, go figure, includes a top-notch sunset), Riviera Chic party, fresh local produce at The Old Olive Press Taverna and a no-holds-barred regatta. Our final hot tip is to brush the sea salt out of your hair for a pic in front of Door J’Adore in Hydra. Your friends will get sick of seeing it across social media, but you went all the way to Greece, damnit. Sicily is one of the more laid back of Yacht Week’s many adventures. Classified as ‘easy pace’ and with 10-20 yachts making up the charter, Sicily is hands down one of our favs because who doesn’t like a lie in the sun? Exactly. You’ll hit the Aeolian Islands, also known as the pearls of Southern Italy, which are every bit the dream you’d imagine. Highlights include a Riviera Chic party, sunset hikes, float hangouts, a hike up Stromboli Volcano (not for the faint hearted) and a stunning Baia Negra sunset. We’re also suuuuper into Volcano Island’s black beaches, mud baths and hot springs. Better start practicing your panoramic sliiiide team, ‘cause you’ll want to capture every bit of every moment. Not too familiar with the slice of Balkans known as Montenegro? No dramas. Here’s the spiel: Montenegro is known for 70 kilometres of b-e-a-utiful sandy beach, tip top sailing conditions and… like a bajillion flamingos. So, yup. Pretty damn cool. P.S. If you skimmed over everything that followed ‘bajillion flamingos’ please know that you can see these pink plodders all year round in Salinas near the town of Ulcinj (but especially during spring). Let’s be honest about something. As much as you may have the very best of intentions, you’re going to shop. 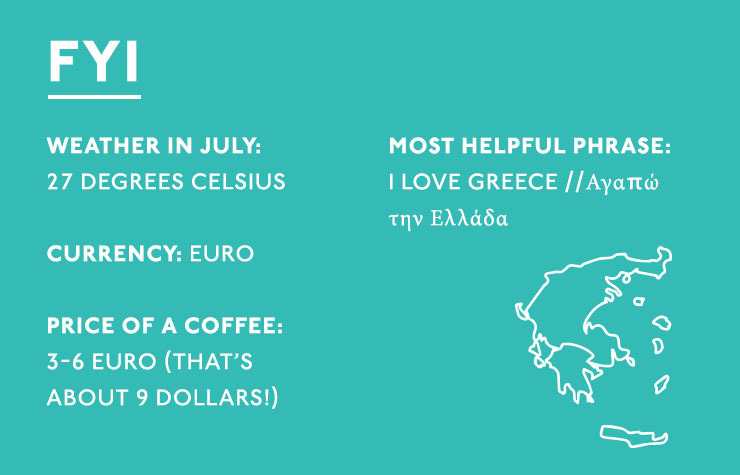 This is especially true if you’re headed to Greece’s Spetses shops. 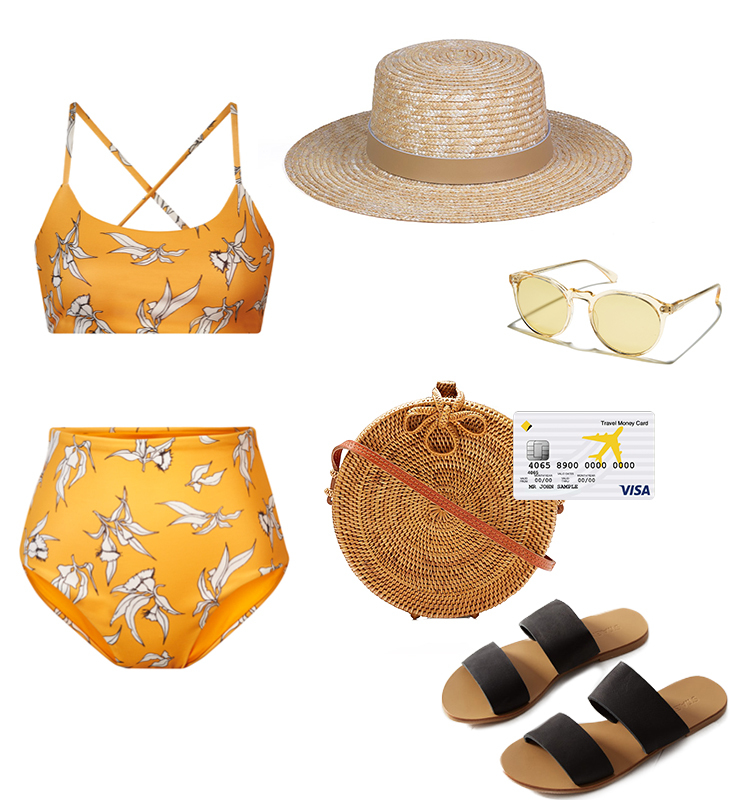 Thankfully, the CommBank Travel Money Card helps makes updating your wardrobe with all of the Greek vibes a very real—and wonderful—reality. That being said, you’ve got to rock up with something. That’s where we come in. Editor's note: this article was produced in partnership with Commonwealth Bank. Thank you for supporting the sponsors who make The Urban List possible. Click here to read our editorial policy. Disclaimer: as this advice has been prepared without considering your objectives, financial situation or needs, you should before acting on this advice, consider its appropriateness to your circumstances. The Product Disclosure Statement and Conditions of Use (PDF 222.5kb) issued by Commonwealth Bank of Australia ABN 48 123 123 124 for Travel Money Card should be considered before making any decision about this product. View their Financial Services Guide (PDF 160kb).